Cone Bottom plastic tanks give complete drainage of the stored liquid. These closed top cone bottom tanks can be used for bulk storage or mixing of batches. Our Closed Top Cone Bottom Plastic tanks are available made from HDPE. High Density Polyethylene is the most widely used plastic resin for tanks due to its low cost, corrosion resistance and good chemical compatibility. It is good for continuous use temperatures up to 130 F. HDPE is sometimes conveniently but incorrectly referred to as HDLPE. These Cone Bottom plastic tanks are not available as double wall tanks. Separate containment should be provided depending on the liquid to be stored. These cone bottom tanks can have customized fittings installed where you need them. Threaded bulkhead connections are standard. We can add flange adapters, sanitary couplings or self-aligning fittings. Many options are also available including level detectors, insulation, heating, ladders and more. Tell us what you need! Most of the larger cone bottom tanks are sold separately from the stands. Stands are optionally available. Cone Bottom tanks from about 3,000 gallons and less may be available with a plastic stand included or may have metals stands that are optionally available. Metal stands can include mixer mounts. The slope of the cone on these tanks can range from 10 degrees to 45 degrees. Check the needs of the material you are storing to match the slope of the cone of the tank. Liquids can be stored in Cone Bottom Tanks with most of the slopes. If you are storing a powder or large particle solid, you may need to look at the cone bottom plastic tanks with greater slopes. 10000 GALLON CONE BOTTOM TANK - 30 DEGREE 1.9SG CONE BOTTOM HDPE $9799.00 . 10000 GALLON CONE BOTTOM TANK - 15 DEGREE 1.9SG CONE BOTTOM HDPE $9299.00 . 7500 GALLON CONE BOTTOM TANK - 30 DEGREE 1.9SG CONE BOTTOM HDPE $7699.00 . 6000 GALLON CONE BOTTOM TANK - 15 DEGREE 1.9SG CONE BOTTOM HDPE $6099.00 . 6000 GALLON CONE BOTTOM TANK - 10 DEGREE 1.9SG CONE BOTTOM HDPE $5899.00 . 5500 GALLON CONE BOTTOM TANK - 30 DEGREE 1.9SG CONE BOTTOM HDPE $5899.00 . 3000 GALLON CONE BOTTOM TANK - 30 DEGREE - 1.9SG CONE BOTTOM HDPE $3189.00 . 3000 GALLON CONE BOTTOM TANK - 30 DEGREE 1.9SG CONE BOTTOM HDPE $1989.00 . 3000 GALLON CONE BOTTOM TANK - 15 DEGREE 1.9SG CONE BOTTOM HDPE $2199.00 . 1720 GALLON CONE BOTTOM TANK - 15 DEGREE 1.9SG CONE BOTTOM HDPE $1199.00 . 1600 GALLON CONE BOTTOM TANK - 30 DEGREE 1.9SG CONE BOTTOM HDPE $2199.00 . 1600 GALLON CONE BOTTOM TANK - 30 DEGREE 1.9SG CONE BOTTOM HDPE $1459.00 . 1320 GALLON HDPE CONE BOTTOM TANK - 15 DEGREE 1.9SG CONE BOTTOM HDPE $1019.00 . 1020 GALLON CONE BOTTOM TANK - 15 DEGREE 1.9SG CONE BOTTOM HDPE $899.00 . 10000 GALLON CONE BOTTOM TANK - 30 DEGREE 1.5SG CONE BOTTOM HDPE $8399.00 . 10000 GALLON CONE BOTTOM TANK - 15 DEGREE 1.5SG CONE BOTTOM HDPE $8199.00 . 7500 GALLON CONE BOTTOM TANK - 30 DEGREE 1.5SG CONE BOTTOM HDPE $6599.00 . 6000 GALLON CONE BOTTOM TANK - 15 DEGREE 1.5SG CONE BOTTOM HDPE $5299.00 . 6000 GALLON CONE BOTTOM TANK - 10 DEGREE 1.5SG CONE BOTTOM HDPE $5199.00 . 5500 GALLON CONE BOTTOM TANK - 30 DEGREE 1.5SG CONE BOTTOM HDPE $5099.00 . 3000 GALLON CONE BOTTOM TANK - 30 DEGREE 1.5SG CONE BOTTOM HDPE $2889.00 . 3000 GALLON CONE BOTTOM TANK - 30 DEGREE 1.5SG CONE BOTTOM HDPE $1789.00 . 3000 GALLON CONE BOTTOM TANK - 15 DEGREE 1.5SG CONE BOTTOM HDPE $1885.00 . 1720 GALLON HDPE CONE BOTTOM TANK - 15 DEGREE 1.5SG CONE BOTTOM HDPE $1089.00 . 1600 GALLON CONE BOTTOM TANK - 30 DEGREE 1.5SG CONE BOTTOM HDPE $1899.00 . 1600 GALLON CONE BOTTOM TANK - 30 DEGREE 1.5SG CONE BOTTOM HDPE $1159.00 . 1500 GALLON HDPE CONE BOTTOM TANK - 45 DEGREE 1.5SG CONE BOTTOM HDPE $1199.00 . 1320 GALLON HDPE CONE BOTTOM TANK - 15 DEGREE 1.5SG CONE BOTTOM HDPE $898.00 . 1050 GALLON HDPE CONE BOTTOM TANK - 20 DEGREE 1.5SG CONE BOTTOM HDPE $875.00 . 1050 GALLON CONE HDPE BOTTOM TANK - 20 DEGREE 1.5SG W/STAND CONE BOTTOM HDPE $1299.00 . 1020 GALLON CONE BOTTOM TANK - 15 DEGREE 1.5SG CONE BOTTOM HDPE $793.00 . 1000 GALLON CONE BOTTOM TANK - 45 DEGREE 1.5SG CONE BOTTOM HDPE $899.00 . 750 GALLON CONE BOTTOM TANK - 20 DEGREE 1.5SG CONE BOTTOM HDPE $1199.00 . 750 GALLON CONE BOTTOM TANK - 20 DEGREE 1.5SG CONE BOTTOM HDPE $999.99 . 500 GALLON CONE BOTTOM TANK - 45 DEGREE 1.5SG CONE BOTTOM HDPE $469.00 . 500 GALLON CONE BOTTOM TANK - 30 DEGREE 1.5SG CONE BOTTOM HDPE $929.00 . 310 GALLON CONE BOTTOM TANK - 30 DEGREE 1.5SG CONE BOTTOM HDPE $575.00 . 300 GALLON CONE BOTTOM TANK - 45 DEGREE 1.5SG CONE BOTTOM HDPE $387.00 . 300 GALLON CONE BOTTOM TANK - 30 DEGREE 1.5SG CONE BOTTOM HDPE $682.00 . 175 GALLON CONE BOTTOM TANK - 30 DEGREE 1.5SG CONE BOTTOM HDPE $457.00 . 160 GALLON CONE HDPE BOTTOM TANK - 45 DEGREE 1.5SG CONE BOTTOM HDPE $251.00 . 125 GALLON CONE BOTTOM TANK - 15 DEGREE 1.5SG CONE BOTTOM HDPE $414.00 . 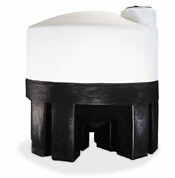 These cone bottom tanks come standard with a bulkhead fitting installed or the tank may be ordered without a fitting. For instances when you would like to install a smaller or larger bulkhead fitting, would like to install a bolted fitting or would like to install additional fittings, please refer to this guide. The maximum fitting sizes shown for cone bottom tanks are based on installing the fitting in the standard flat area in the bottom cone of the tank. All cone bottom stands will accommodate maximum fitting sizes. 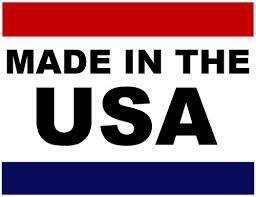 Please contact us if you would like to install a fitting in any other location.